For international orders, ordering by phone, or paying by check, please contact us via the comment box in the sidebar. Buy The Name Quest and The Study Guide together for only $20 (saving $3). Name Quest excerpts available for download. The Name Quest is also available from your favorite bookstore (Amazon, Barnes & Noble, Powells, Books A Million, Chapters-Indigo, IndieBound, and more worldwide). Published by Morgan James Publishing, New York and available here or from your favorite bookstores: Amazon, Barnes & Noble, Powells, Books A Million, Chapters-Indigo, IndieBound, and more worldwide). John Avery‘s groundbreaking book about the names of God will help you find purpose in life and grow in faith through the names of the Lord. Would you like to download a sample chapter? Name Quest excerpts are available. Kindle Version available from Amazon. If you want to get to know someone, listen to the names related to him. An illustration would be Mother Teresa, who was called a blessing, self-sacrificial, and obedient to God. These are the kinds of names that are recorded in the Bible as we search for the names attributed to God that describe Him. Then, as we get to know Him by the names and qualities He possesses, we are given the opportunity to grow into His likeness. Do we need someone who is faithful and true? Let us follow the One who “will never fail or forsake us.” Do we need someone who loves us no matter what? Let us follow the One who gave us the opportunity to love “because he loved us first.” Do we need more justice in our lives? Let us follow the One who embodies righteousness and justice. In this scholarly, amazingly well–researched book, John Avery opens our eyes to our Creator, our Lover, our First Love, our Righteousness and Justice, our Shelter, our Salvation, our Redeemer, our Deliverer, and so much more. Furthermore, Avery does this as if he were talking to his best friend. This is not a dry, hard-to-read book written only for professors, but a friendly book written for all of us. He uses stories to illustrate points, and points to illustrate stories, all done with creative attention, drawing our interest, pulling on our curiosity as he reveals who God is. To our amazement, God becomes Someone we would really love to get to know better. Good job, Avery! The Name Quest is more than the history of the names and attributes given to God. It is an invitation to come alongside Him to live and grow, and fulfill the purposes He has given us. To Him be the glory forever and ever, Amen. This book is not a mere list of names and information about them that is dry, merely facts, or boring. Instead it is organized by character trait for each chapter and it is interesting. Mr. Avery made this book interesting by seamlessly weaving personal (and sometimes humorous) story tidbits in between the scriptures, quotes, names, biblical background and etymological knowledge included. He also has a knack of gleaning moral life lessons about God from ordinary and extraordinary modern American life events. I found the information to be very thorough when unpacking each particular quality of God’s character. Everything was thoroughly footnoted as well, with well over 1300 footnotes included. At the end of chapter one the author mentions, “experiential knowledge” seemingly implying that is what is coming next in the book. I suppose it depends on what your definition is of “experiential”, but to me it is not something that can be guaranteed since we cannot make God show up or perform at our will. I did, however, find myself very much thinking about God as I read this book. And God does value that! As a book reviewer I found it daunting to treat this book as a read-straight-through book, especially considering its length (379 pages). Instead I recommend to any readers that you treat this book more like a restaurant menu and pick and choose as needed based on whatever you need God to be for you or whatever you are curious about. Find whatever that is in the table of contents or the convenient index in the back. One thing I would have liked to seen expanded upon was the treatment of the names of the Holy Spirit. Even though they were included and talked about and even though the number of names used exclusively to apply to Him compared to the total number of names or titles of God in the Bible is much smaller, considering the importance of the Holy Spirit in our lives and His co-equality in the trinity, I think there should have been more there. Overall I enjoyed the book and thought it was thorough, well-written and interesting. I think it could help you get to know God better, too, depending on how you treat it. (Read it as I recommended and intentionally think about God while doing so expecting Him to show up.) Recommended to any Christian wanting to get to know God better through His names. What is God’s name? I had no idea He had so many. John Avery has provided reader’s an extraordinary journey of learning all His names throughout the Bible, names that have been made known for our benefit, names that describe Him, names that share His heart and character. From beginning to end, this book teaches and draws the reader into a deeper understanding of who God is, and thus into a deeper relationship with Jesus, God the Father, and the ever present Holy Spirit. This book is well written, often amusing, with word pictures I could relate to. It is undeniably one of the most reliable sources for both theologians and those with a thirst to know more. I highly recommend it. The Name Quest Explore the Names of God to Grow in Faith and Get to Know Him Better by John Avery is an exceptional book and source to help us know God and His character better and in doing so we grow in our personal relationship with God. This book not only talks about the known names of God like Yahweh or Jehovah but also names or character like judge, shepherd and Heavenly Father and Lord. With each name John Avery takes us through why God is called this and how it shows a part of who God is which helps us to relate to God in a new and important way. One of my favorite ones is Good Shepherd. It says in the book “ The picture of a shepherd with his sheep illustrates the relationship between God and His people because it highlights God’s care for us all.” Later it says “The title “shepherd” encapsulates nine interrelated roles that parallel the ways in which God cares for us.” pg 207. This is such a comforting way to think about God that He is our protector and caregiver because He is our Good Shepherd. This is one example but this book is well worth the read because it leads us through all the meanings and how they help us to understand, relate and know God and his love for us better. Even if you think you know all about God I believe, like it was for me, that when you read this book you will grow in your faith and knowledge of God, which is fantastic but even more important you will know, understand and have a more personal loving relationship with God. It is a great, enlightening book that I would encourage all to read. 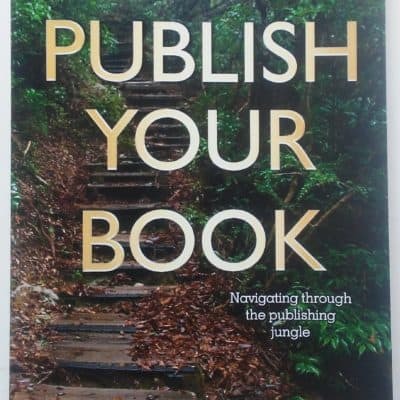 I received a copy of this book from Morgan James Publishing through bookcrash.com in exchange for my review and honest opinion. This is an excellent book that will take you deeper in your relationship with the Lord. There is a lot in a name and God has several to help us relate with him. John Avery has a way of taking you deeper in your knowledge but keeping it easy to understand and relate to. This is beautifully written. Anyone who has been in the Faith for several decades has normally read the Bible with a variety of schemes and methods, and often come to the end of every one. In illness, grief and exhaustion we may well be tempted to give up entirely, finding even once-fruitful habits both stale and simply too demanding. This admirable volume, finely written and researched and beautifully produced, may prove refreshing to many weary believers. It can well be read at one sitting, but I think that, unless one’s tongue is hanging out for something more like a fifteen-course Chinese banquet than a six-course Western dinner, it will be best assimilated in the very small helpings to which the structure naturally lends itself. The chapters are short, nor do any of them need to be read to the end at one go. In that respect this is closer to a reference work than a continuous argument. Even a mouthful will nourish for the next stage of the journey. This said, no-one should suppose that this work is not solid and coherent: it is grounded in careful word-study with which I as a biblical philologist can find no fault, and under the top layer of detail, including useful personal asides, there is a basic unity. But the word-study, which is a term that I believe often causes the eyes of the average believer to glaze over, is quite digestible for those who know no Biblical languages and may have found it pretentious when speakers/writers parade their little learning of that sort. There is no I-know-more-Hebrew-and-Greek-than-you-so-listen-to-me nonsense here. In short, I like both the flavour and the substance in this case, and believe that for many readers it might prove a real refresher to Christian faith and living. It passes with flying colours my test of a good book, that is whether I expect to return to it. I do expect to return to it often, and to find more in it each time. As each rotation of the kaleidoscope displays a new pattern, each chapter in “The Name Quest” demonstrates a unique and “fresh combination of names” that reveal different aspects of God’s nature. For example: knowing God as Shepherd, Savior, Lord, Protector and Caretaker to name a few. Even though there are only “two true names of God strictly speaking – Yahweh and Jesus,” notes Avery, God’s other names are more like descriptive “titles” since each name describes a different facet or quality of God’s nature, attribute or action. Avery believes knowing God’s names builds faith, adds depth to the spiritual life, encourages spiritual growth and strengthens a believers relationship with God. He calls it “God branding,” then uses an anecdotal story about a camel owner in the prologue to illustrate. Abdullah, an Iraqi camel owner, branded female camels’ young each year to signify his ownership, when we learn God’s names we become indelibly marked. Learning more about God gradually transforms us “into the image of Jesus Christ.” And it’s common knowledge human nature is influenced by who and what we spend time with. Twenty-three chapters begin with memorable quotes that include several black and white charts, God’s names in bold font and sidebars noting references from Hebrew, Greek and Aramaic texts. He draws from the lives of Moses, David and Daniel in the Old Testament and Apostles, Peter, Paul and John in the New Testament with overall attention to Christ. “The Name Quest,” available in kindle, hardcover and paperback, teaches Who God is, what He is like and equips believers to know Him like they might a best friend. Avery’s unique use of humor, personal stories and anecdotes make it an enjoyable and interesting choice for group or individual Bible study. For more information check out Avery’s website: Names for God. What’s in a name? Plenty, if it’s the many names of God. 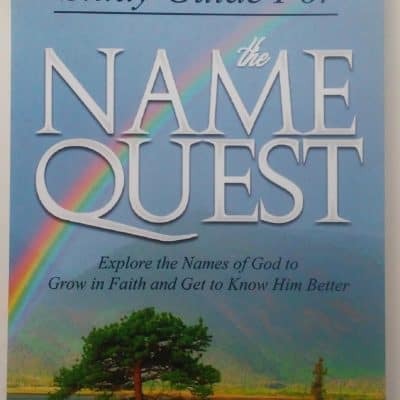 The Name Quest: Explore the Names of God to Grow in Faith and Get to Know Him Better by John Avery gives a full picture of the God of the Bible by exploring all the names he’s called. From nicknames to job titles to legal forename and surname, people are known and defined by their monikers. God is no different, and in the Bible he bears many, many different names. Just like knowing only one of a person’s names indicates an incomplete knowledge of his roles and characteristics, knowing only a few names of God falls short of the fullness of who he is. Avery aims to help Christians know God more completely by examining the different ways the Bible refers to God: from Abba, to friend of tax collectors and sinners, to redeemer, to Yahweh. The book is organized thematically: each chapter highlights an idea about God’s character (such as his glory, God’s role as father, and how Jesus was different from what people expected). This is more effective in conveying the full identity of deity than the name-by-name, dictionary-like format of many similar books. Typesetting the names in bold and inserting pull quotes (with the name in English, then in its original language [Hebrew or Greek], then a verse reference) makes the book easy to skim and use as a quick reference. The book equips people, rather than talking at them. Plentiful verse references in the text and in the endnotes allow deeper exploration and bolster Avery’s assertions. Avery’s style is meticulous and well thought out. His voice is warm, clear, and inviting: it’s clear he knows God well and wants others to be able to do the same. His words and insights give life to the scriptures. While many Christians will be familiar with some of the names of God that Avery discusses, the average layperson will find much to learn: from specific titles of God to the depth of meaning that the names, individually and collectively, communicate. Avery’s language is accessible to all who are familiar with Christian teachings but aren’t necessarily theological scholars. This book is particularly helpful to newer Christians who want to explore who God is. The cover is colorful and appealing. The image of the road mirrors the word quest in the title and in the faith journey the book’s content describes. The title type alongside the rainbow gives the book a somewhat feminine feel that doesn’t match the tone of the book and may alienate male readers. The Name Quest helps Christians know God better. When you get to know someone well enough to call him or her a close friend, you’ve accrued a store of knowledge about that person. She likes vanilla more than chocolate, wears boots year-round, and only sings in the shower. He goes bowling every Saturday afternoon, spends weekday mornings at the local coffee shop, and sponsors a child in Africa. Perhaps one of the quickest ways to get to know someone, however, is via his or her names. Believe it or not, we all go by different names, depending on the situation and the people we’re with. A woman named Martha might go by “Martha” or her initials in a professional context; be known as “Marty” to her family and close friends; and still be called “Sugar” or another childhood nickname by her doting grandparents. Our names reveal a lot about us — family names given to honor our ancestors, or unusual names because our parents were innovative thinkers, or middle names used as first names because you can’t stand the first name your parents gave you, or initials because it was easier to write “D.J.” than “Desdemona Justine” on your papers in school. In the same way, the names of God reveal everything about Him — His character, His attributes, His power, His majesty. Everything that makes up who He is can be embodied in one of His many, many names. 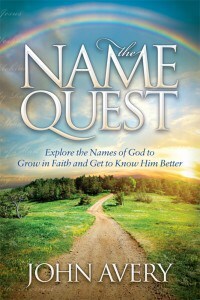 The Name Quest: Explore the Names of God to Grow in Faith and Get to Know Him Better, by author, teacher, and pastor John Avery of BibleMaturity.com, is an in-depth exploration through the Bible and all the different names and terms used for God, from Alpha to Omega (Revelation). With close readings and comparisons of the Scriptures from the Old Testament to the New, Avery ensures that readers not only come to know the names of God and what they mean but also what they meant for the people of Israel and what they mean for us today. Each new revelation is another glimpse of the all-powerful God of the Bible, another facet of His person, another dimension of His personality. Extensive scholarly research and study for The Name Quest do not render the work an unreadable or unapproachable lecture or sermon. Avery has a more formal writing style than some in the field, but his is a weighty undertaking. Nonetheless, he also weaves into the fabric of the text anecdotes and personal examples from his own life, making the work feel applicable despite the depths of the subject matter. This work would be a perfect undertaking for small group study, personal Bible study, or devotions; it could also easily serve in the place of a single-subject concordance because it is so thorough and credibly upheld. Looking to learn more about the God of the Bible? Look no further than The Name Quest, and be inspired and amazed in your faith. Disclaimer: I received a complimentary copy of this book from the publisher through the BookCrash review program in exchange for an honest, though not necessarily positive, review. The opinions I have expressed are my own. Like the facets of a diamond the names of God collectively reveal the exquisite beauty of the living God. 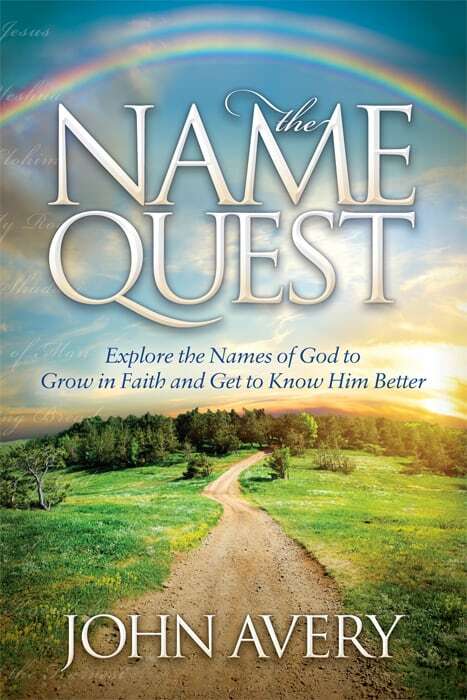 John Avery’s book, “The Name Quest” searches the scriptures for the revelation of God through the names given to Him by those to whom He chose to reveal Himself. Einstein is quoted as saying “if you cannot explain it simply, you don’t understand it well enough.” Avery has done a masterful job in simply explaining the names of God, and why they are important to man. I highly recommend “The Name Quest” to all seekers of truth.